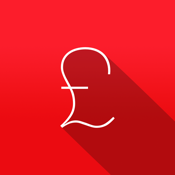 UK salary calculator for the 2014/15 tax year. A 2-IN-1 tool with an included VAT calculator! Use Tax Toolbox to calculate all your PAYE Tax and National Insurance deductions. - Enter your salary, choosing whether its annually, monthly, weekly or hourly paid. - Tax calculations are summarised from Gross Pay through to Net Pay. - Your tax calculation result can be split by either: annually, monthly, weekly, daily or hourly summaries. - A comprehensive breakdown of your tax calculation including any Income Tax paid, National Insurance paid, split by bands of payment. - Your tax breakdown is a complete map of where your salary goes and to who! - Email your tax breakdown report for sharing and backup purposes. - Tailor your tax calculation to your situation with a number of settings. - Working hours per week. - Age. Helps to estimate what Tax and National Insurance you might pay. - Pension contribution. Entered as a % of your Gross Salary. Choose if your Pension is contracted out and you could pay less National Insurance. - Annual bonus - Enter an amount or % you receive as an annual bonus. - Salary sacrifice. Can be used for company car schemes etc. - Exclude National Insurance. If you don't pay National Insurance you can exclude it from the calculation. - Student loan payment. Choose whether you pay using the Plan 1 or 2 scheme. - Add VAT to an amount. - Find an original amount excluding VAT. This tool aims to be quick and simple, not a complete tax return tool. It gives a rough estimate of what you can expect to receive in your pay packet each month. ...or turn this off and protect your privacy! Optimised for the iPhone 5.